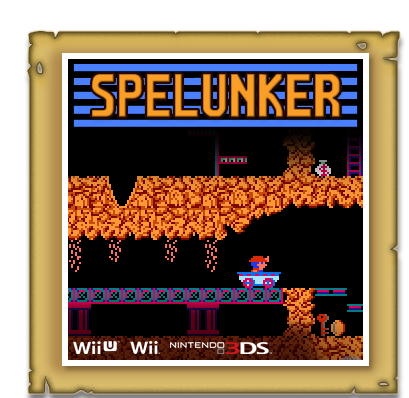 The Spelunker hero, whose colossal spirit for adventure is countered only by his miniscule threshold for pain, was first introduced in 1983. 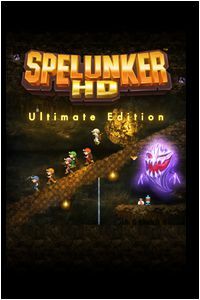 The sheer number of ways to die coupled with the very exacting controls has pushed Spelunker's reputation from absurd to hilarious and spurred its popularity worldwide. Spelunker champions share a badge of honor like no other. 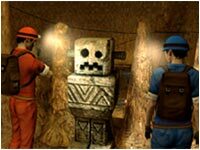 In search of ancient treasures, our hero must travel deep into underground worlds and explore miles of uncharted caves. Will he unlock the secrets of the pyramid and survive to tell? He will encounter the many dangerous enemies who have ended all previous explorers ' hopes, as well as the lurking ghosts of the dead themselves! Height is a constant threat. Many apparatus will put the spelunker in precarious situations; extreme caution required! Although created in the US, Spelunker's popularity peaked in Japan... and is still growing. 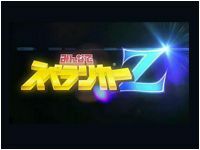 It isn't uncommon to hear the Spelunker theme music play when an injury prone player approaches the plate in Japan's professional baseball league. Check out these renowned tunes! A very jazzy arrangement of the classic Spelunker theme. The daunting new version that dares you to press Start. The upbeat adaptation that perfectly suits the HD graphics. You're in way over your head when you get to this cave world. Jump, blast, dodge, run... this cave world is too much fun! 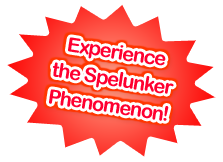 Take a peek at some of Spelunker's most crazed fans! These girls can really beat out a funky tune - clever arrangement too! Rip it up Pumpkin Face!! 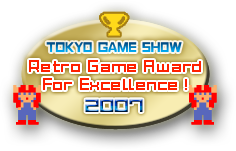 This is high-octane entertainment! Electronica homage to the undisputed king of underground exploration. These funny Japanese lyrics bemoan the woes of controlling the weakest character ever! After 3 quick deaths & game restart a dreaded ghost arrives… time to close the lid on this pianist? This fella’ picks through the entire intro theme that plays at the title screen. Nicely done! 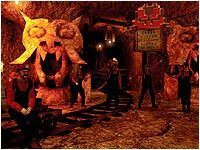 The Spelunker phenomenon has swept through Japanese culture and can be heard resonating from karaoke machines in trendy nightclubs and seen on designer t-shirts in vogue clothing outlets. 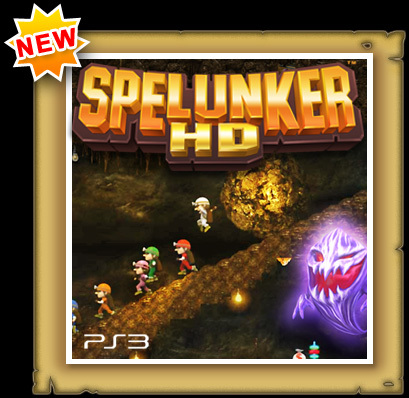 The Spelunker hero was even licensed and featured in another video game. 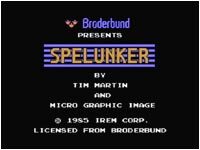 Title screen from Famicom Spelunker. Package of Spelunker for Famicom. Package of Spelunker 2 for Famicom. Lounge "Gathering Place for Cave Explorers"
Lounge "The Bat-infested Abandoned Mine Cave"
©1983-1984 Timothy G. Martin. ©1985-2015 Tozai, Inc.
Website ©2010-2015 Tozai, Inc. All rights reserved. “PlayStation” and the “PS” Family logo are registered trademarks and “PS3” and the PlayStation Network logo are trademarks of Sony Computer Entertainment Inc.
Online access requires broadband Internet service and a wireless access point or LAN. Certain limitations apply to Wi-Fi connectivity. User is responsible for Internet service.